The elders of the two conflicting clans signed a peace agreement. 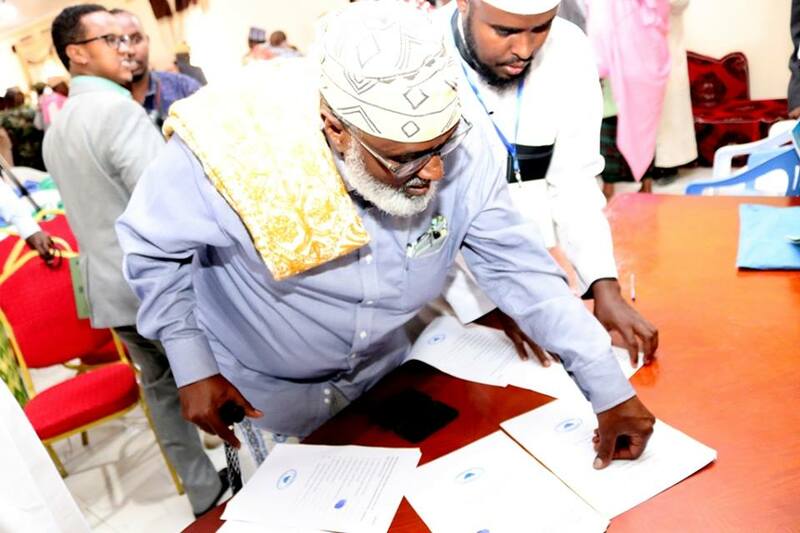 Sheikh Ismail Abdi Hurre read a decision made by the arbitration committee. The arbitrators decreed that all existing agreements reached by the parties on relevant clashes are binding and should be implemented. It has been agreed that land, water and pasture are shared by all and cannot be claimed by an individual person or clan. Government authorization should be first secured if a person wants to build a new well or reservoir or intends to establish a new village. The committee also clarified the number of deaths and injuries sustained by each clan. They decided each clan to pay a blood compensation to the other for all deaths and injuries they caused to the other. The vice president of Somaliland and other government officials were present when the agreement was signed.